Aiming to help residents of the ever-busy city of New York get their homes and appliances in order, Set Up NYC was established. New York, USA - Moving from one home or office to the other or installing new appliances can be quite challenging, and as such, there is the need to seek the expertise of trusted and reliable handymen who offer top-quality services at affordable rates. Aiming to help residents of the ever-busy city of New York get their homes and appliances in order, Set Up NYC was established. Set Up NYC boasts of a team of professional, well-trained, and respectable handymen who are committed to delivering fast responses and top-quality services, with the aim to exceed customer’s expectations. As the leading provider of handyman services in New York, Set Up NYC continues to expand their services to cater to the increasing demands of clients who have tested their services and found them to be spectacular. Aiming to be the one-stop shop for all handyman services NYC, Set Up NYC has expanded their service line to include blind and curtain installations, furniture disassembly service, IKEA furniture delivery and assembly service, packing service, office furniture assembly including desks and office chairs, reception furniture, file cabinets, storage units, cubicle dividers, shelving and more, handyman service, IKEA kitchen installation, TV wall mounting, as well as home furniture assembly including beds, desks, bookcases, shelving, and more. Set Up NYC is located in New York, USA. 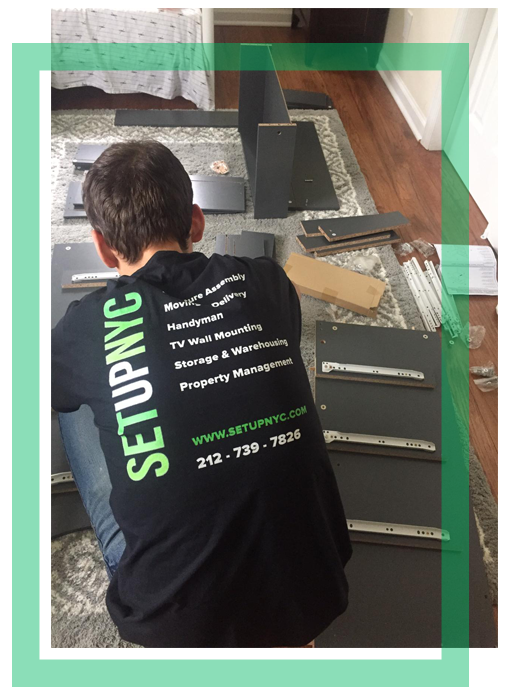 For inquiries and the best Handyman Company in NYC, contact their team via phone at 212-739-7826 or via email at info@setupnyc.com. Visit their website for additional information regarding their services.